An Idiot Abroad the Complete Series 1 & 2 DVD Review All in all, this collection is a must have for fans or for those who missed this the first time on TV. 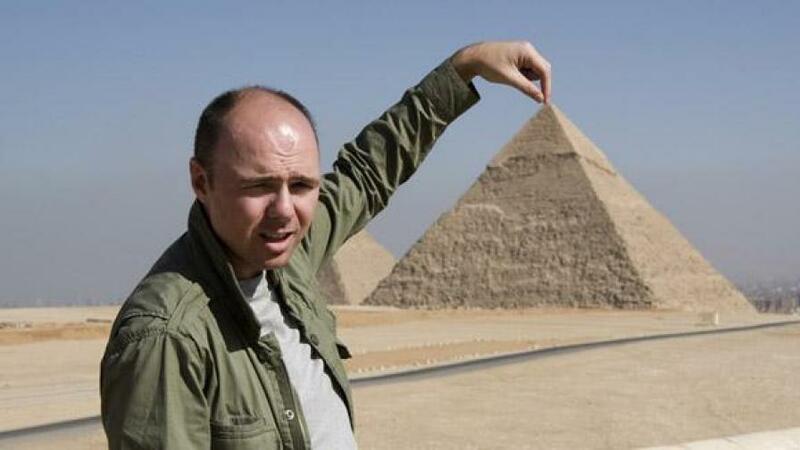 An Idiot Abroad was devised by the devilish Stephen Merchant and the wicked Ricky Gervais with the concept being to send their friend Karl Pilkington to the seven wonders of the world (season one) and then arrange a "bucket list" for our bumbling idiot in season two. Along the way Karl is put into a variety of uncomfortable situations for the amusement of Stephen, Ricky and the audience. Interestingly enough, very little time is actually spent within each episode focusing on each wonder of the world or the intended bucket list, rather the audience gets to witness Karl bumbling through encounters with locals and animals. Stephen, Ricky and Karl have long worked together on radio, creating podcasts on a whole range of different topics. When the three of them are together it is very funny as they balance each other out and they are able to bounce off each other. By moving Carl to another country and having Ricky and Stephen as the invisible puppet masters that balance is destroyed. Karl somehow begins the star and a healthy dose of schadenfreude comes into play. Season two is of a similar premise and once again stars Karl Pilkington, Ricky Gervais and Steve Merchant who bring you another brilliant 8 episodes of this awesome show. The premise is simple enough; take the "idiot", Karl and put him into situations that throw him so far out of his comfort zone that hopefully he reacts badly. Whilst Karl is reasonably true to form in this series, he also steps up and beyond in taking part in the various jobs that are assigned to him. Those jobs are pretty cool to be honest as he has to travel to various parts of the world and do things from a "bucket list", a list of things that people would like to do before they die. This list becomes the premise for this series and Ricky and Steve send Karl off to fulfil different things from the list, but of course they also send him off course to get questionable stuff done as well. A poorly Karl is about to swim with the Dolphins... err... sharks! As with the previous series, Karl's honesty is utterly refreshing, and his outlook is sometimes a character itself. The places Karl gets to see are both places of breathtaking beauty and heartbreaking poverty. Seeing him struggling with only building one hut in Africa at first seems as though he is merely bitching about the task at hand until you realise that he actually doesn't think what he is doing is anywhere near enough to help the overwhelming poverty there. 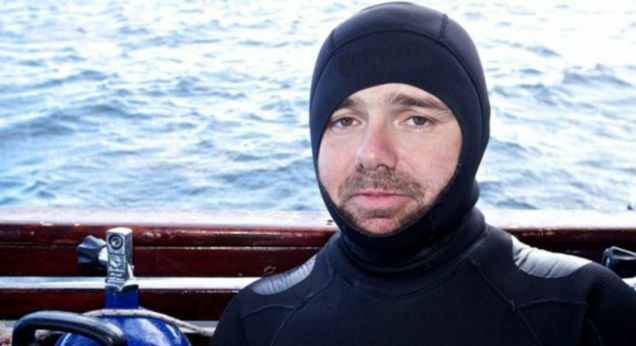 He does have a win though when he tricks Ricky Gervais into buying five more huts by pretending he did a pretty freaky bungee jump. The show is an utter delight to watch, and viewers will find themselves watching the whole series in a couple of sittings. In fact my only complaint for both series is that there are not enough episodes. Needless to say, it's just so much fun to watch, and so hilarious, there were times I laughed so hard I found it hard to breath. All in all, this collection is a must have for fans or for those who missed this the first time on TV. Add in some fun special features from a Preview Show, Deleted Scenes and my favourite Pilko's Pump Pants and this is well worth your money and the perfect watch!